One of the best ways to make money online and make money with your blog is by selling digital products. If you’ve been blogging for a while now and are ready to monetize your blog, you may have heard of digital products before. You’ve most likely even purchased digital products in the past. Digital products are an incredible way to add passive income into your business. They are products that are completely digital and you only have to make them once. No packaging up & shipping what you sell. Selling digital products can really be beneficial for your business and can be one of the quickest ways to start making money from your blog. If you’ve been a little unsure about creating digital products because well, you have no clue what they entail — let’s talk a bit more about what they are. They are a great way to earn money online in 2019 because they are products that are typically inexpensive to make and can generate income for basically ever. There are a few different types of digital products that exist out there. Well, actually — the possibilities are endless. If you can make it digitally, package it up to look pretty, and sell it then go for it. Let’s talk a bit about the most popular & profitable types. Ebooks are an awesome way to make money online. If you are a pro & very knowledgeable on a certain topic, you can definitely write an ebook. There are so many topics you can write about. And if you’re intimidated at the thought of writing a book, remember: ebooks can either be long or short. It’s totally up to you and you can think about it like a super in-depth and detailed blog post if that makes it less scary. Think about something you know how to do that you can offer the world. You can brainstorm ideas & survey your audience to see what they want to learn from you and then turn it into an ebook. Then, you can sell it passively through your website with a platform like SendOwl that does all the work for you. Or you can even sell your ebooks on Amazon! Next up are online courses. I love online courses. They’re also another knowledge-based digital product. If you’ve established yourself as an authority in your niche, you can definitely use online courses to teach others your unique skillset. You can even use some of the previous content like blog posts you’ve created in the past to help you piece together an online course. Courses can be evergreen and you can sell them all year long after you’ve created them. All you might have to do is make sure to update it as information becomes outdated. Yes, you can find anything online but you can put your own unique spin on it. Plus, people like the convenience of having everything laid out for them. If you’ve made the mistakes in the past and learned from them, by putting together a course you can show people what works and what doesn’t. It helps them avoid making the same mistakes and skip to the end result they want to have. They don’t have to do the digging around for the information because you’ve packaged everything up in one neat and simple-to-follow online course! If you’re a photographer, you could try selling your stock photos online. People are always looking for beautiful and professional stock photos to use on their blogs and websites. 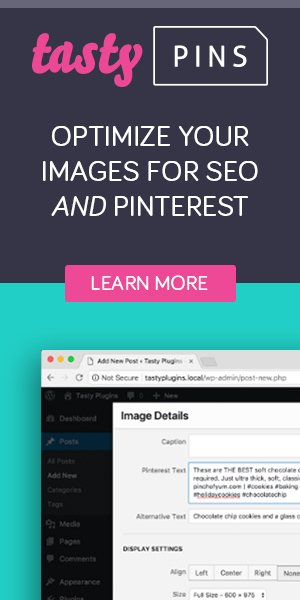 You can sell your stock photos in sets on Etsy, Creative Market, or directly on your website. You can sell them in sets or you can create a membership site out of your photos. All you need to do is take the time to take the photos and edit them and you can sell them over and over again forever. If you’re good at design, you might want to try your hand at selling printables. People love purchasing printables online for all different types of occasions. There are so many printables you can create and you can easily sell them on your own website or on Etsy. It all depends on your skills and if you love creating digital designs! Check out Pinterest & Google and see what kind of printables people are looking for and then design what type you’d like to create and sell. If your audience’s pain point is creating graphics, you might want to consider making templates. Graphic design isn’t for everyone so templates make it easy for those who are uncomfortable with designing to still make beautiful designs. You can sell a template for pretty much anything. You can sell invitation templates (you customer just has to edit out the names & details! ), you can sell social media graphics, PDFs, workbooks, resume templates, WordPress themes and sooo much more. Membership sites are very popular right now. They’re a great way to consistently sell products or your knowledge to your audience. If you have something people want to learn from you, you can package it up and sell it as a membership site where people pay monthly to get access to the content. You can do a stock photo membership, you can turn your coaching into a membership site, you can do pretty much anything! To create a membership site, you should be able to identify your audience’s pain point and offer and recurring solution to the problem. While they could be a one-and-done type of product, typically most membership sites create and upload new content on a monthly basis for their subscribers. But besides that, your income potential is unlimited as long and people continue to sign up and stay subscribed to your membership! This is the biggest reason why digital products should be on your radar in 2019. Passive income. Passive income is income your business generates where you’re not working hourly. You’re not focusing on trading your time for dollars. This means that you can literally make sales from your digital products while you’re not even working! You could make sales while you’re reading a book, napping, or on vacation. Because your product will continue to sell on its own online even when you’re offline. While passive income is totally, well, passive, you still need to actively put in some hours in the beginning to make the product. But after that, it can easily become a consistent stream of monthly income for you. Another great benefit of digital products is the fact that you only need to make your product once and then you can continue to sell it afterward. If you’re willing to put in the work upfront and spend time creating the product, it can be well worth it because then you can sell it on autopilot. Usually, there is less risk when it comes to creating digital products because in the end, if nobody purchases your products — you only wasted however much time it took you to create the product rather than a ton of money. This one’s huge! Having a shop even an online one would usually require you to keep physical inventory. And that can be a hassle to manage and store especially if you’re working out of your home. And on top of that, if nobody buys from your shop then you’re for sure out of all the money you spent on inventory. It’s a lot more work to have to keep physical inventory, ship products, etc. Digital products require no inventory or extra storage space in your home! This helps you cater to all types of customers and clients looking for work in your niche. This is precisely why I opened up my template shop. If someone can’t afford to hire me for Pinterest graphic design services, they can purchase do-it-yourself easily customizable Pinterest graphics from my shop for much less and design their own pins with them. This way, I’m able to reach more people regardless of their budget. You can help more people around the world with digital products. I wanted to help more people improve their graphic design but there are only so many hours in the day and so many clients I can take on. With a template shop, I can help way more people than what I can just fit into my schedule. Lastly, selling digital products give you more flexibility and freedom to do what you love to do. Love working at midnight? Love working just three days out of the week? Feeling too sick to work today? Selling digital products give you the freedom to work when you want, take a day off when you need to and be completely flexible in your schedule. You don’t need to worry about if you don’t book enough clients, then you won’t make what you need to pay rent. Digital products can help cover the gaps in your income should you have any. They can help take the pressure off because you know they’re consistently selling on autopilot for you. You’re more free with your time when you choose to sell digital products! Overall, selling digital products is something you should definitely consider doing in 2019 if you want to monetize your blog or increase your monthly income from your business. You really can’t go wrong with selling digital products because they’re one of the most profitable ways to make money online. Your income from digital products is limitless and can help you build the blog or business you’ve always wanted. What about legal Info on the fonts and certain graphics you want to use? I’ve been looking into this but, have stopped because I’m unsure what I can even do if most fonts/graphics can’t be reused and distributed! Hi Monica! That is an excellent question. Such great insights! Here’s to an awesome 2019. Great read!! Your article gave me so many ideas for taking my business online. Thank you so much for the great and well stated information. Hi Amanda, thanks for your post. Just wondering how do you create graphics to sell and then how do you set them up to transfer to the buyer etc?